"I like the subject matter, and also the sharing of experience with multi regional/market practice." "I like the new ideas from other operations/organizations and also trainer has strong experience in this field." "Thanks Mr. Robert and ACS, I like the topics and group discussions." "I like the group discussion sharing experiences and ideas. Overall, I would say that the course was beneficial; however the local market is different. But it was very useful to understand different market strategy." "Meeting with different experience in insurance field and sharing of info. Thank you!" "The course was shorthanded on some technical aspect of fraud analysis that need to be expanded upon, however the presenter was very supportive & helpful regarding any inquiries and the total experience was beneficial." "The training covered most of my expectation, training was useful." "Training has great value for medical audit and anti-fraud department staff as its outlines the common scenarios methodology and solutions available in the industry." "Thanks a lot for organizing such fruitful training program. Appreciate." "I like most the group interaction from different backgrounds." "Thank you ACS. Instructor was good." "Thank you. It was a very informative training and will enhance my skills." "Thank you. The discussion was energetic due to the amount of group (Participants)." "I like most the organization & presentation." "Well organized and well attended." "I like most the gathering of multiple cultures and back grounds." "The interactive element and how the presenter catered the course to the participants." "I like most the clear language of the instructor. Got useful info and personal advises when needed." "Both instructors were very helpful at explaining concept in PACS workflow." "The level of technicality and break down of the interfaces and different technologies." "I like most the 2nd half of the training- Clear and practical." "Good coverage of key consideration for ensuring high availability, data security, scalability and system performance based on operational needs. Good practical exercises to optimise the system architecture." "DICOM and HL7 exercises are very interesting, especially in our operational routine." "A very interesting workshop, outlining the details and audit finding, approach and tabulation." "Well organized. The instructor is professional." "One of the best training I have attended. There have been a lot of take aways from the training. The best were behaviour model, processing mapping control system identification and data analytics." "I like most the healthy discussion and participation." "I have enjoyed that course." "Very knowledgeable presenter with relevant practical experience." "I like most the knowledge and experience of the trainer." "I got new ideas to apply most of them from the discussion but still count." "I like most the real life exapmples." "Fraud training was informative and productive. Learnt some new concept which would certainly be implemented in our organization to be more efficient when it comes to handing or detecting fraud." "Rebecca presentation really showed that she is a Guru in her field, however I wish there was a more analysis about the GCC market where a lot of the material where not applicable to us." "Both instructors were very knowledgeable." "I like most the instructors and material." "I like most the presenter and subject material." "The training was broken down very well when considering the ABII and CIIP certification." "Andrea Poli is an excellent presenter and is very receptive to question. The mock exam is a great resource." "This training was more than expectations. Thank you ACS for conducting such a nice training." "Course content I like the most." "I like most IG Toolkit, ISO 27001 and COBIT." "I like most the organization and the content management." "The topics were intresting. Thank you! Appreciate the efforts." "Materials I like the most and thank you for everything." "Great overall, good opportunity to share knowledge since there is more than specialities and different countries. I like most the time line commitment and the trainer awareness of details." "I understand the relation between RIS, PACS and HIS and how to build and organize the system." 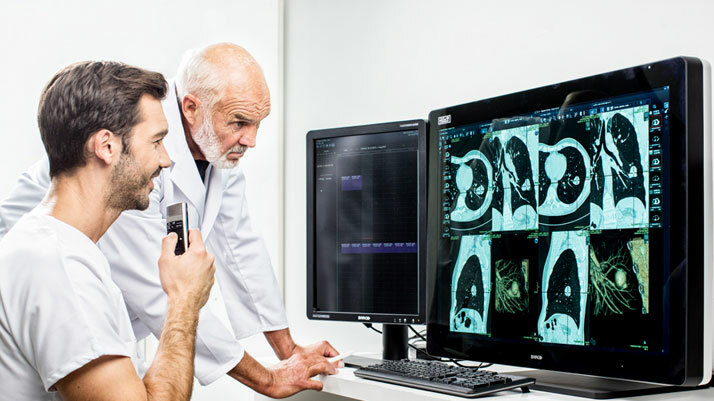 "Now I understand what is going on in radiology workflow, before it was a black box, it is very helpful for us as know the workflow of business." "I like most the group and place, it was good but if we can practice more than just listen." "Well organized, planned and informative, knowledge enriching experience. I like most the practical exapmples and excesises." "I like most the trainer knowledge." "Training was very good. I like most the excersisces." "I like most the technical practice." "I like most the team work." "I like most the training and hospitality. Excellent." "I like most the lecture and food. Nice job." "I like most the ability of answering the queries from the trainer." "One of the best training I have attended in the past 5 years due to high level of knowledge & info we gained and practically comprehended." "Training was relevant to my organization as currently strategy setting." "I like most the strategy map." "I herby testify that everything was great, I like most the interaction." "I like most the case studies & practical activities." "The trainer did his best to meet our questions." "I like most the balanced score card." "Overall course is excellent. I like most the real examples. Thank you for this course." "A must do course for all communication professionals." "I highly liked it. It is the most important course I have ever attended. I also like the trainer knowledge and presentation." "Was as expected good and useful training, I like most the materials." "The training was very informative and I have borrowed so much from it in order to improve the way we carry our audits." "I like most the wide knowledge of trainer. It’s very much valuable to young buddies." "I like most the insightful & depth of this training, it was good, clear and timely." "Really worth attending this training all there who are into Risk/IA role." "I liked this course, it is very helpful for me as a biggener in PACS job, I learned a lot and I understood the HL7 messages which will help me in finding the solutions of the issues that I may face. Also I like the simple way in tranforming the information to us." "Everything is fine, practical topics I like the most." "It was good training thanks for being friendly with us." "I like most the practical exercises." "I like most the group work and open discussion." "It’s a good informative training." "Thank you very much for every thing, the trainer was very helpful and he answerd most of our question." "Training was good but we need explaination on PACS system with different vendor and how to use it in PACS system." "Training was very good, I like most the variety of information." "I like most the practical sessions, training was very good." "This training adds benefit and I knew many explaination and object messages." "I like most the handouts and HL7 excersisces." "Training was ok, topics I like the most." "I like most the discussion and exercises." "I like case studies, practice and sharing experience." "I like the journey it gives a clear idea of where to start from and how to start it too!" "An Excellent 360 view of health IT and its value on healthcare echo system. Open discussion was really good"
"It was a well organized & informative course. It covers all variable topics that are related to the current status of EHR as well as the future of health informatics and EHR." "It was a very helpful course in e-health generally and EHR specifically." "The training course was very informative and the speaker was excellent in his role as a presenter and speaker. I liked that it gave me insight to what other opportunities are out there that can be adapted to further betterment of healthcare in our organization." "The overall training was good along with the group discussion. I expected a more advance level for senior audience." "I believe ACS could be one of the sources to learn more about market needs and available solutions with the relevant strategy." "Excellent training for beginners in the healthcare IT field. Great trainers and very interesting discussion." "It was great to join this course." "The overall training was very good for me; it was very important and meets some of my educational goals due to its materials selection and education provided in the course." "Mr. Victor Freeman is one person worth meeting for a bright future, truly inspirational." "Professional from A to Z." "I have gained more knowledge about ICD-10 CM"
"A compact yet comprehensive refresher for ICD-10 coding & implementation." "A very nice comprehensive presentation which was discussed in detail in a short period of time." "Very good, unique & informative, trainer has teaching skills." "This training refreshed my knowledge and it was quite good for my future." "It was a good involved group with much interaction and team work, a balance between concepts & practical exercises." "The commitment of the instructor Mitchell Weisberg." "Energy of Mitch, solid process that can be used & adapted." "Very informative related to the topic of strategy, KPI’s and measurement, value, mission, vision." "The materials & the interaction. Excellent workshop on strategic planning." "I like most the group activity to demonstrate understanding." "It is a real added value training in strategy management." "It was a great workshop with highly skilled & knowledgeable trainer. Mitchell is a subject matter expert and I really enjoyed it." "A helpful course to help you choose & implement an EHR and a nice refresher if you already have one." "It was a great workshop. Learnt new knowledge and gained new experience. I'd say an added value to my career." "It was a great learning opportunity." "The importance and benefits of EHR were well discussed." "Simple, informative, helpful & to the point. Keep giving, supporting & improving the patient quality of care. Thank you & Thanks You again"
"This workshop was great and very helpful in increasing the knowledge of EHR." "Its adding knowledge for me, I will use it in my big project." "The training is well organized. The training content was clear and helpful. It has increased my understanding of EHR and why it’s important. I enjoyed thoroughly this opportunity, I am hopeful training was informative for all of the participants." "Excellent course for PACS administrator & radiology managers for understanding PACS/DICOM/HL7 & IHE and their interfaces. Very useful for planners and implementation committee members of PACS/DICOM/HL7 projects." "Excellent trainers & overall a very successful workshop. The training was really informative & fun to be part of it, trainers were very knowledgeable and excellent in teaching & providing info." "The lecturers were good & we were able to follow them during the training as they tried to explain in a simple way. They were very helpful and answered all of our questions whether they are part of the training or not." "The training was very good." "Object of the training were very useful for me as PACS administrator, all the topics related to PACS were covered, the trainers were well prepared. Thanks ACS." "All aspects were excellent, specially practical and examples." "The course is very helpful especially exercises for PACS administrator and IT people. It covers almost everything about how to handle PACS problems. Thank you." "I highly recommended the course for PACS administrator & beginners. The atmosphere was very good." "Like HL7 & DICOM in this training." "The trainer was helpful in way that you become aware about some potential issued about PACS. Also show the trend of using this technology globaly and best practice of it." "The trainer was more friendly and he accepts all of the questions." "The trainer was well prepared. He had good knowledge about Radiology." "Wonderful training and I really learned a lot of things and I woud just like to say BIG Thank you"
"I am on the right path of my career." "Nice training and Good experience." "Such very good course conducted." "Practical excercises kept everyone actve and gained more experience with tools provided. The tools can now be used on our sites." "Very useful workshop. I learned a lot of good and new things and different ideas. Trainers were very helpful and knowledgeable. Thanks"
"Much better RIS/PACS, DICOM workshop atttended then my first one. Teams are organized, cooperated and knowledgeable." "Better understanding on HL7 AND Diacom usage and i got also getter understanding about what my job description." "Very useful training . I gain good knowledge about HL7 and IHE." "It would be better while explaining before going to handout of the steps so that during practicle we can understand how to work it out easily." "This is very help course to understand what happen in the background of any PACS SYSTEM and also with other communications/Information systems with in hospital." "Excellent experience I have ever had"
"The trainer Mr. Andrea is a very knowledgeable in terms of PACS integration topic, I like the way he addressed the participant questions"
"I like most the practical sessions, it was a great & knowledgeable training"
"Training provided good understanding of the PACS system with sufficient practical approach. This would surely help me to achieve our goals at our organization"
"I like the trainer knowledge and the friendly people"
"A well organized, informative with practical suggestions. I like most the interaction with trainer & participants"
"It is very good to achieve and clarify PACS, RIS, IHE & DICOM concepts"
"Belonging to a country like Pakistan, I learnt a lot of new aspects in healthcare IT and I am sure these will help us a lot in improving our hospital services"
"It was an excellent course"
"Was very good to learn different technology for ESB, XDS, HL7 & WADO, trainer was so nice"
"It is really a good initiative towards PACS & healthcare functionalities specially in DICOM/Radiology field as it is one of the major area of any health institute. Practical exercises & group discussions were very useful"
"It was a good experience to attend such course and I loved the environment"
"Everything was good and interesting"
"It was a pleasure to attend such course"
"Great experience with great people. Specially the way of presentation of trainer Mr. John"
"I like most the EMR integration and EHR future"
"I like the overview and the subject"
"Got an overview of EMR and its implementation and how it evaluate"
"The entire session was good"
"The most of the scenario is based on U.S. which Abu Dhabi Health Authority follows, that is relevant for the situation"
"Very educative, informative and entertaining." "Richly insightful and made accessible by facilitators expertise. Good program for companies." "This is one of the most informative, integrated and useful workshop that I attended over the last few years." "A very informative training session especially for companies that are looking at a strategic roadmap with vision, mission and values to be implemented in their companies to achieve a definitive goals." "I like most the implementation part, Balance Score Card & dashboard." "Building strategies to execution was described in very structured manner. Thank you very much. " "A very insightful systematic course which gave me practical solutions to day to day organizational challenges concerning strategy execution, performance & change management." "Trainer was relax and friendly, meeting people I wouldn’t have met otherwise." "I like most the strategy mapping and balanced score card (BSC)." "The topics were excellent and well covered." "I like most the exercise and group work." "While joining this workshop I was to get the tools to implement the strategy of my organization. Now, I know how I have to define objectives. " "Training schedule and materials were organized well and the trainer felt involving and well experienced." "I enjoyed the training because I learned a lot of new things that will not only benefit me now but will also benefit me in the future." "It was very good training." "Thank you for this great training, which will help to improve my work as PACS administrator." "Thanks for this training, it was very useful." "It helps me a lot to understand some subjects about PACS and VNA." "I like most the VNA and cloud topics." "This training is concentrated on the IT/technical side, it gives me knowledge for the future use if we decided to have VNA." "I like the contents and side discussion that took place, I got a lot of knowledge about some aspects that wasn’t clear." "It was good and knowledgeable training, this will definitely help in my profession in coming days." "VNA becomes easy and understood after attending this course." "I like the trainer and it was well organized training"
"The trainer was very knowledgeable and supportive"
"Very productive training comes with more understanding on the financial modeling along with using Excel techniques to make it more productive. I like most the interaction & discussion about using the different techniques to implement"
"The course was very well structured and interactive. The trainer was very knowledgeable & the presentation and delivery of the course was top quality. The interactive nature of the training made it more interesting ensured excellent participation. Overall a very good course on learning tips & tricks to improve financial modelling"
"Very useful training for mid management and senior management finance officials"
"First of all I would like to thank ACS people to all effort they did and support they give to me. The course is very focus and I gained a lot of knowledge." "It was very useful training course where I gain knowledge about topics." "The training was very helpful in understanding the possibilities within Excel to improve financial models." "Good training I like the exercises." "I like all in general." "I like the deep knowledge of the trainer Mr. Norman and the risk management topics"
"It was very helpful and practical training, suitable to my job." "I like most the personal experience of trainer Mr. Norman." "The training helped me to have a more detailed understanding about internal audit." "Not only covered the basics of risk management but also linked the same to core internal audit practices & process." "Experienced faculty and highly knowledgeable trainer." "It was a very good chance to get my training on Mr.Massoud and Mr. Wasims' hands , they were very accurate about what they teach and were keen to make it clear to us, they were patient, sincere and friendly, and they welcomed any question all the time, made sure of our understanding and ability to applicat what we have learned, they deserve all respect." "I trained in company AITS with mr. WASIM and mr. MASWOOD The training was very consistency in attendance and attention and seriousness and take advantage in the course and abundant information about medical billing and coding and rules necessary for the continuation of the work in this job and all trainee was wishing to work in this field really thanks a lot mr wasim and mr masaood"
"First of all Congrats for the new training website.. that would be a strong move forward in your career.. Just wanted to thank Mr. Masaood Baloch, Wasim A.Khan and all the instructors for being so professional, patient and so helpful during the training we had in AITS back in Cairo Egypt (2007-2008) in the Medical billing & Coding field.. Just wanted to tell you that all the trainees are now seniors in the field right now and companies are competing each others to win their efforts and expertise. Thanks for everything and wishing you all the success." "Thanks team ACS for efforts in learning us and putting us on the field of medical billing and coding and wishing you all the success"
"I had received my first ever Medical Billing and Coding training in Egypt provided by ASC. The 3-month training was splitted into two parts; 1) theoritical part with main objective of transferring the basic knowledge of medical billing and coding, and 2) practical part (on-job-training) with main objective of ensuring trainees capability of properly doing medical billing and coding. My overall rating of the training program was excellent, and I was very satisfied by the professional trainers Massaod Balochi and Wasim Khan. I advise any medical billing and coding executive to try it." "Thank you. An excellent training on Risk & Reputation Management and very interactive." "Very good workshop learned new concepts & relevant interaction in my field." "The training was very helpful, well arranged and well delivered!" "It was instructive and informative." "The training was very informative, I like most the case studies & examples." "I like most the topics of the training." "Training was very interactive & informative. " "It was very good specially the exercises." "It was a good experience to share different experiences from multiple organizations." "It was a great learning experience, I have enjoyed every second of this training session"
"Thank you for the effort." Thank you for subscribing to our Newsletter. You will receive our Newsletter containing information, articles and industry news periodically. Designed & Developed by ACS, Inc.